This episode of Skincare Sneaks is long-awaited, for me at least. 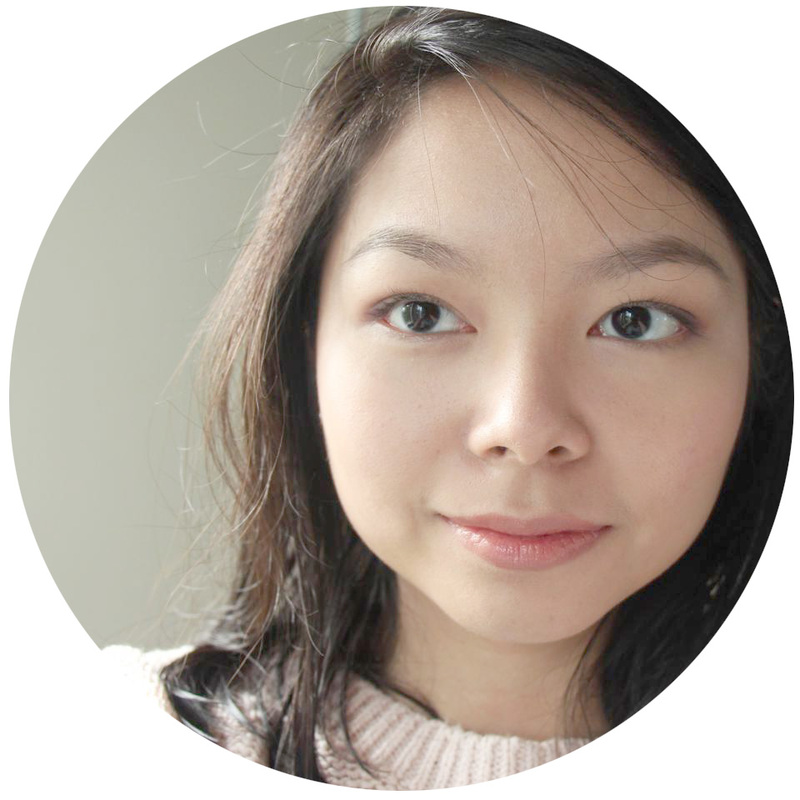 Today we have Khristine, a teacher/homemaker/incidental blogger. I met Khristine during Liz's Project Vanity Anniversary. Her flawless skin was immediately evident, as she was sporting just eyeliner, no face base. She looked positively poreless. 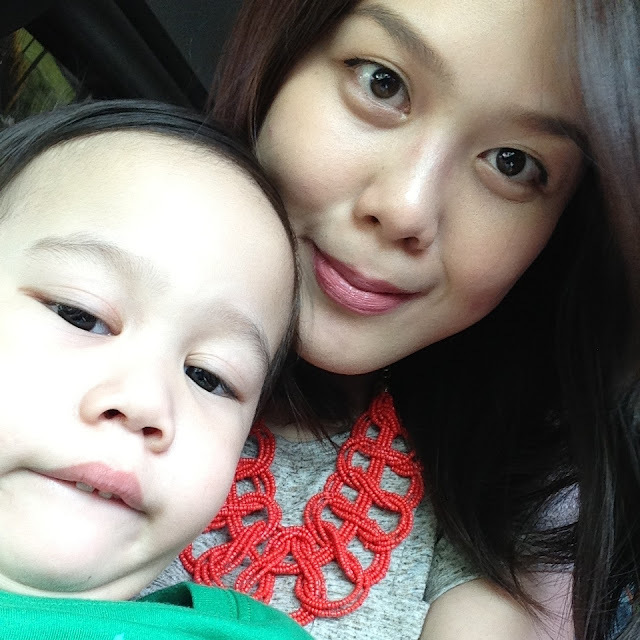 For her sensitive skin, Khristine keeps things simple. She focuses organic and natural products -- that actually work. She's also breastfeeding, so the mommies out there might find this extra interesting. Check out her skincare recs, tips, and more after the jump! Hi, I’m Khristine. I’m a mother to three amusing boys. I’m a homemaker and a teacher. I’m a busy momma that’s why I like having a schedule. I enjoy doing DIYs, organizing and cleaning! They’re my favorite things to do beside cuddling up and reading to my kids. I’m a bit of a breakfast connoisseur so most of my Instagram posts are about showing off how badass I am at making pancakes. I kid you not. 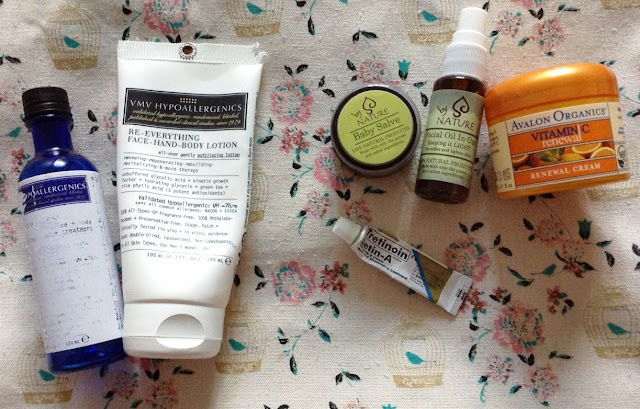 I’m a big supporter of the organic and natural movement but it doesn’t mean that I’m a drugstore snob! I have sensitive skin. I have few freckles on my cheeks and thread veins around my nose and some on my cheeks too. They don’t bother me at all. I still get zits from time to time and oh whiteheads and blackheads as well! On good skin days, my skin looks immaculate! I don’t wear foundation; I just use concealer most of the time. They say that having great genes plays an important part of having great skin. It makes sense. While we can’t choose our parents obviously; we can deal with our skincare problems just by observing how our parents take care of theirs. My mom has sensitive skin and freckles all over her face while my dad had oily and acne-prone skin when he was a teen. Somehow as I got older, I became an expert on skin sensitivity hullabaloo because I really scrutinized my mom’s skincare regimen. I've had numerous trials and errors and love-hate relationships with a great deal of drugstore, natural and organic products and I’ve learned it the hard way. It’s true when you’re dealing with skincare that less is always more. It has always been my skincare mantra. My skincare routine will bore you, guys. Haha. But I abide by these rules now that I’m older. I look for hypoallergenic and allergy tested products. My favorites are VMV and Physiogel Hypoallergenic. Personally, I think Physiogel Hypoallergenic is like the cheaper version of VMV. Their skincare products are non-comedogenic, contain no colourants and perfume. I don’t use soap. Soap strips off the skin’s pH balance leaving it susceptible to irritation. I stick to cream cleansers as they have a rich consistency and leave a light moisturizing film. 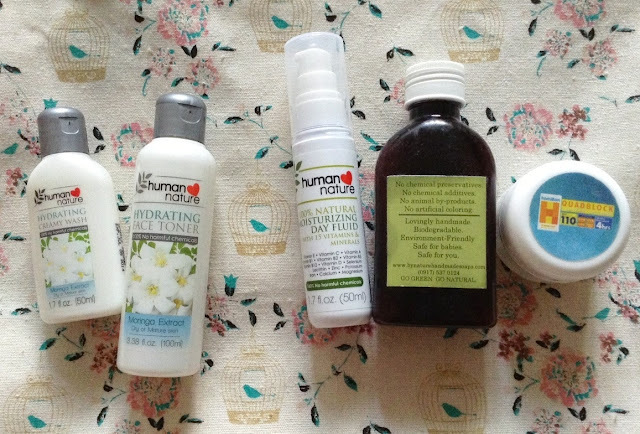 My current favorite is Human Nature’s Hydrating Creamy Wash. Sometimes I use Lactacyd Baby Wash too! I steer clear of exfoliants (i.e. : astringents, facial scrubs) and high-concentrated AHA creams. AHA, especially in high amounts is a no-no if you have sensitive skin. If you can’t avoid using products with AHA (like me ‘cause I use organic facial products), choose the lowest concentration you can get and use it sparingly. You can alternate it with your regular creams or cleansers. I get my dose of AHA mask from natural yogurt! It’s cheap and nothing goes to waste because I always eat the leftover! Yum! For scrub, I use St. Ives Brightening Apricot Scrub. But I just scrub my nose and chin and do it once a week. I avoid the sun as much as I can and use a physical sunscreen containing titanium dioxide instead of a chemical sunscreen. Chemical sunscreens, especially if you have sensitive skin, can cause allergic reactions. My favorite is By Nature Handmade Soap’s Sunblock Away. This is an oil-based sunscreen so I wouldn’t recommend it for oily-skinned gals. I love it because it also serves as my moisturizer. It has SPF55 but it’s not indicated if it has UVA/UVB protection. On days that I’d have to be out in the sun for a long period of time, I use Hamilton Quadblock SPF110. I wash my face with Human Nature Hydrating Facial Wash or sometimes just plain water. I use any toner actually as long as it’s organic and alcohol-free. I slather a thin layer of face cream like Human Nature’s Day Cream or sometimes none. I remove my makeup (mostly concealer and mineral powder) using extra virgin olive oil (EVO). I like using EVO because it’s economical and it makes my skin smooth! I wash and tone just like my AM routine. I massage my face with By Nature Handmade Soap’s Facial Oil or Baby Salve for at least 10-mins. I scrub once a week and apply a very thin layer of Retin-A on my face every other week. That’s it! Really basic, no? Hehee. I’m still breastfeeding that’s why I’m careful with the products I slather on my skin. I've tried other brands like Kiehl's and Avene but I always go back to these staples. I like them because they're affordable and work just as well. And because I’m a beauty-is-skin-deep kind of girl; I take care of my skin from the inside. When I started to be a pesco-vegetarian eons ago, I noticed that my skin got brighter. I have this glow that no makeup can give. I have clear skin, less allergies and no zits at all! It’s hard when I started but I reaped the benefits afterwards. Oh boy, it saved me a lot of money from buying expensive creams and makeup. Even the most expensive skincare brand/line isn’t going to make a difference if you don’t work skincare from the inside; that’s one thing I realized about skincare. So personally, I think reducing stress, getting enough sleep, staying hydrated and eating sensibly are the best things you can do for your skin. In the long run, you’ll save a lot of money from buying skincare products you don’t actually need and your skin (and your wallet) will thank you for it.